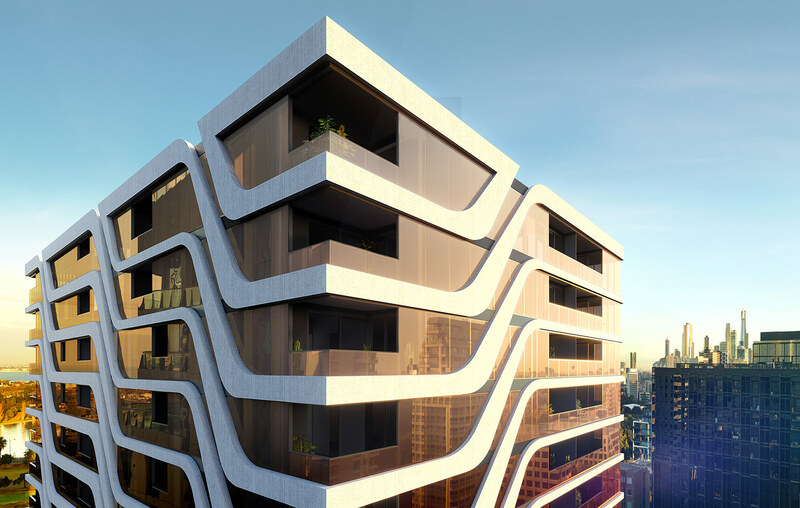 An exclusive residential address “New Charsfield”, consists of a boutique array 144 luxury apartments designed by the collaborative team of Rothelowman and Hecker Guthrie. 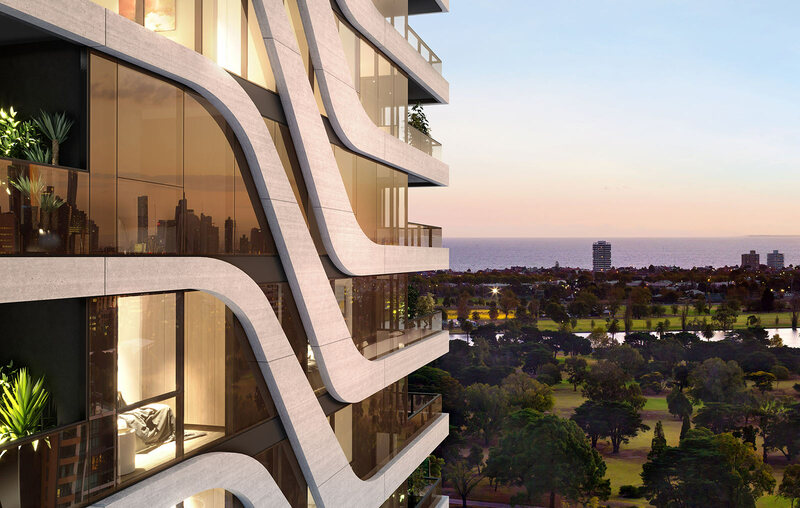 With sweeping views across Albert Park lake, to the city and over Fawkner Park, the building is serviced by a full-time concierge and building manger that can assist with all the resident’s needs. Located on the Ground floor is the expansive Chesterfield Clubhouse, consisting of resident’s lounge, library, gym, outdoor entertaining, and private dining facilities. 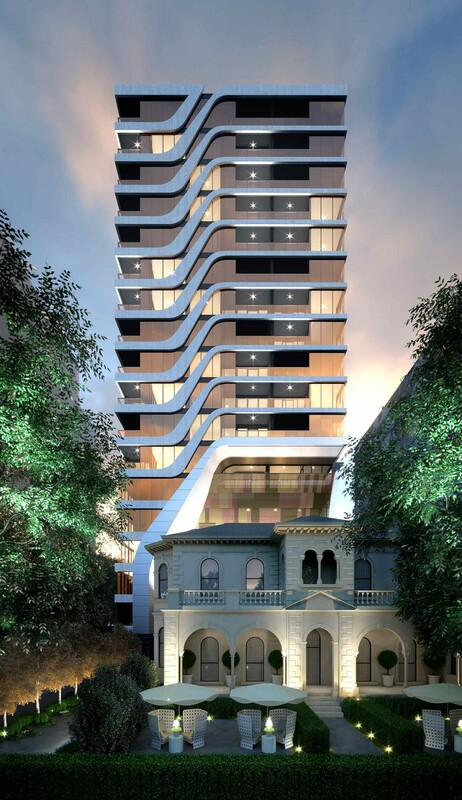 On the lower levels of the development is 104 Quest serviced apartments. The former Charsfield Mansion is being reconditioned to enable a future commercial/ Food and beverage offering. Let by director Bart O’Callaghan, Urban acted on behalf of the client in the acquisition of the property purchase and has continued to lead as development/ project manager through the design development, sales and construction process.